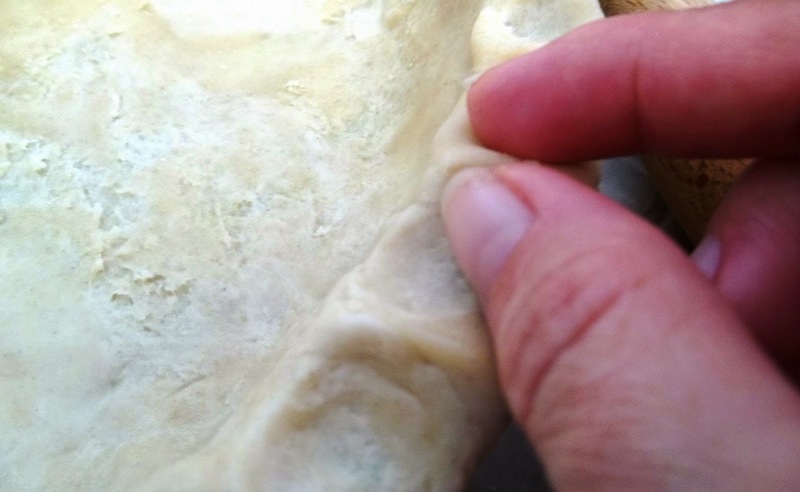 Rolling and shaping your pie crust. 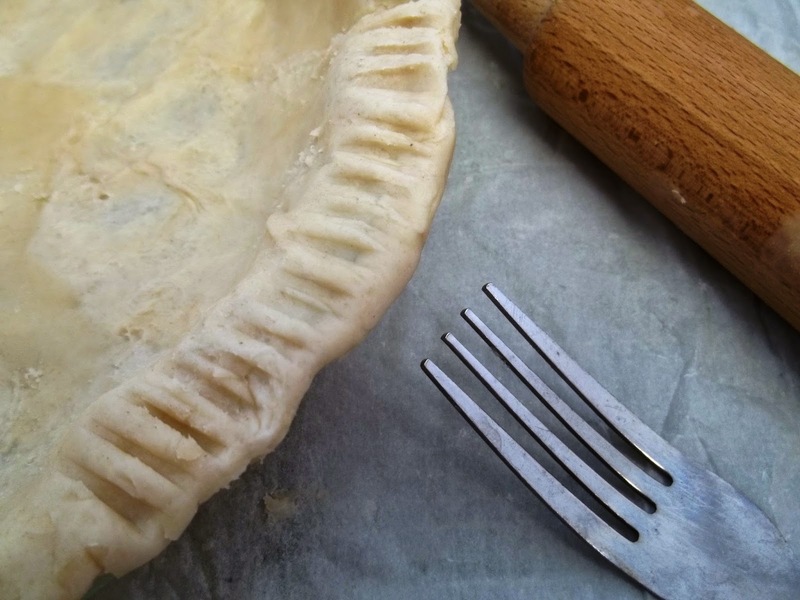 Part two of making a perfectly flaky and buttery pie crust from scratch for the holidays. Buttery, flaky pie crust from scratch! 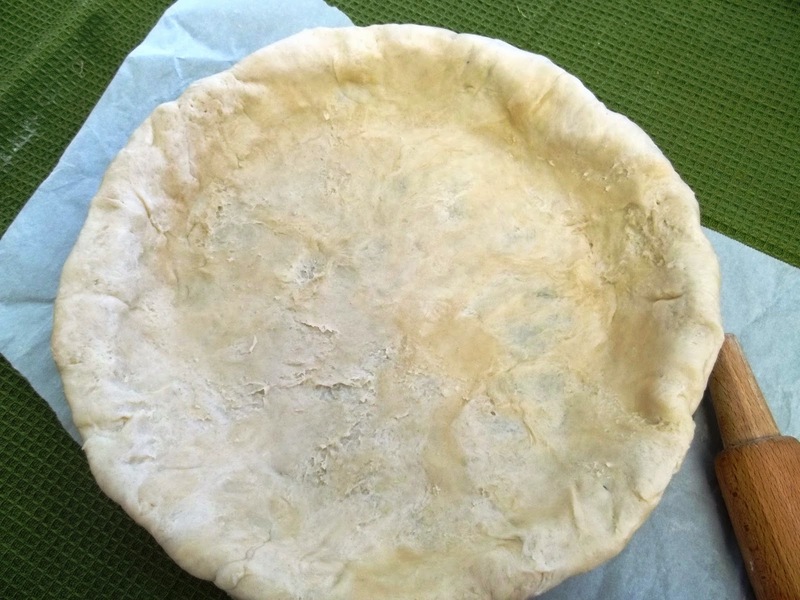 If you missed Part One, Making and Storing the pie crust, you can find it here. for rolling and shaping the pie crust. I am not a pastry chef nor have I ever been trained in any culinary arts, this is just my method for making pie crust from scratch. 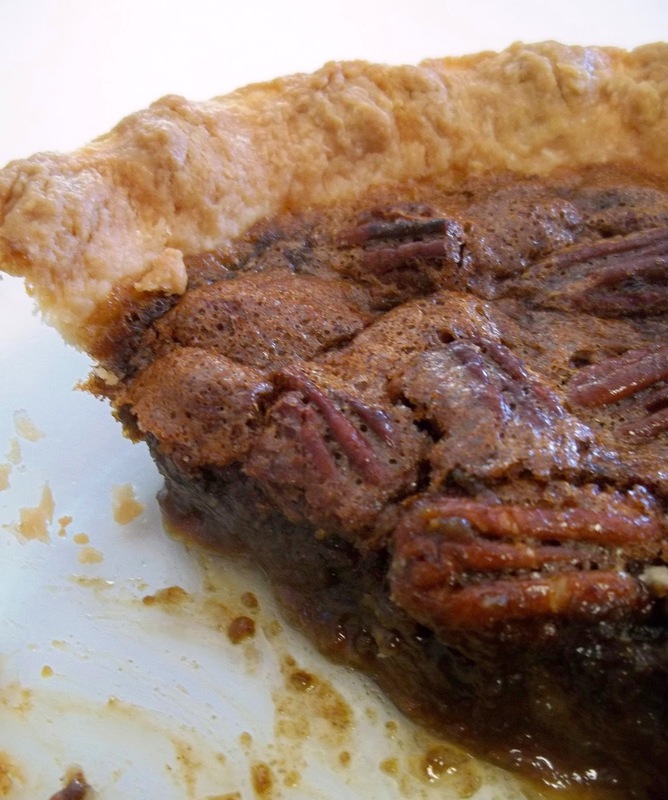 If pie crust has been frozen, allow to thaw to room temperature before using. If it has been refrigerated for an extended amount of time, remove from refrigerator and allow to slightly soften before rolling. 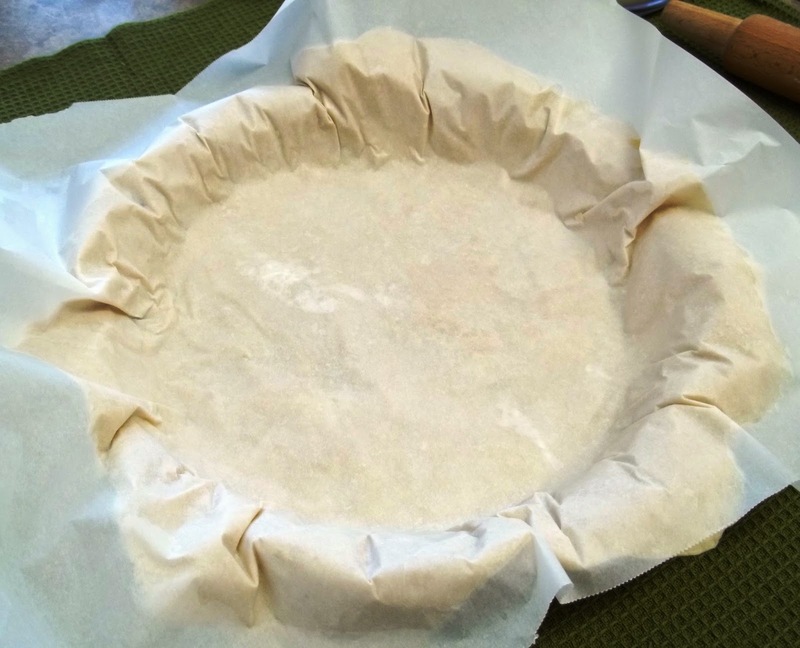 Unwrap pie crust from parchment, smooth parchment, you are going to use this same piece of parchment to roll out the crust. Lightly flour both sides of crust and rolling pin. 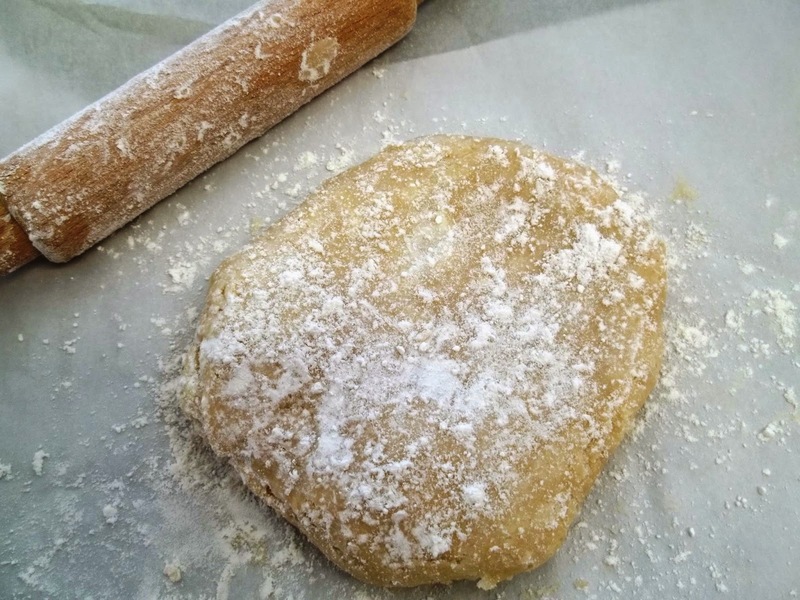 Start each roll from the middle of the dough and move outward, lightly dusting rolling pin with flour as needed. Once you begin a roll, carry the roll all way through. Pausing or hesitating in the middle of a roll will result in a bump in your crust and you will need to roll that bump out. Our goal here is to handle the dough at a minimum, over handling will create a tough crust. Lightly flour both sides of dough and rolling pin, always start roll from middle of dough and roll outwards. 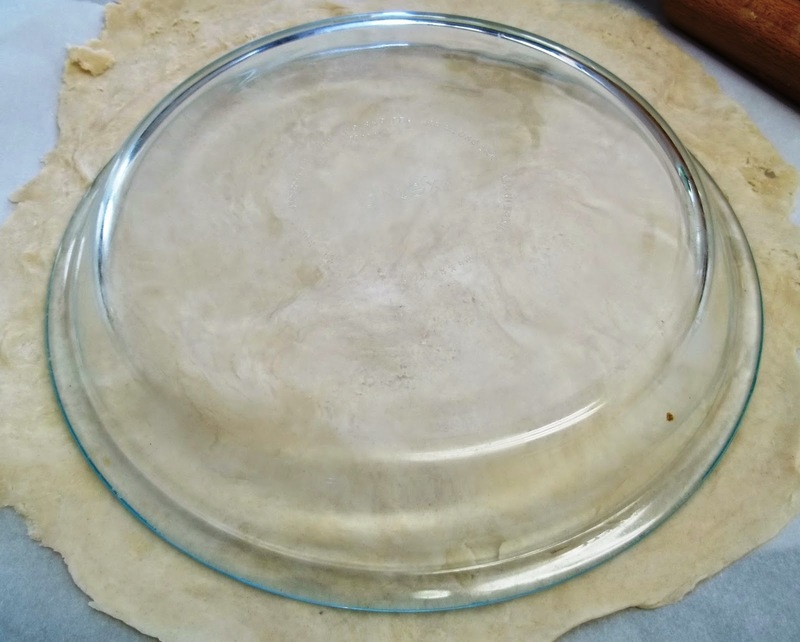 Continue rolling until pie plate you are using, when flipped over, will fit in middle of dough with at least an inch overhang on each side. As you can see, it does not have to be a perfect circle (or even close, as you can see below). Flip pie plate over to check for at least an inch overhang all around crust. Flip pie plate and parchment with crust over, lightly press crust onto bottom and sides of pie plate. Flip parchment over with pie plate, and lightly press crust onto bottom and sides of pie plate. You can place this in the refrigerator for five to ten minutes and it will make the parchment easier to peel from the crust, this is really not a mandatory step. I did not do this step here and it did stick just a bit in the middle. This is no biggie, with lightly floured hands, smooth out bottom and sides. I do not trim the overhang. I just roll and tuck excess under edge of crust on pie plate rim. I do allow five to ten minutes for the crust to "rest" after removing from parchment and shaping. This will help prevent the crust from shrinking while baking. I learned this from trial, error and research. There is a lot of information out there about when to rest the dough. I have found at this point works for me. Peel parchment from crust, smooth bottom and sides, tuck excess under edge of crust to make even with pie plate rim. If you have thin spots, lightly smooth and pat until dough is smooth and even. 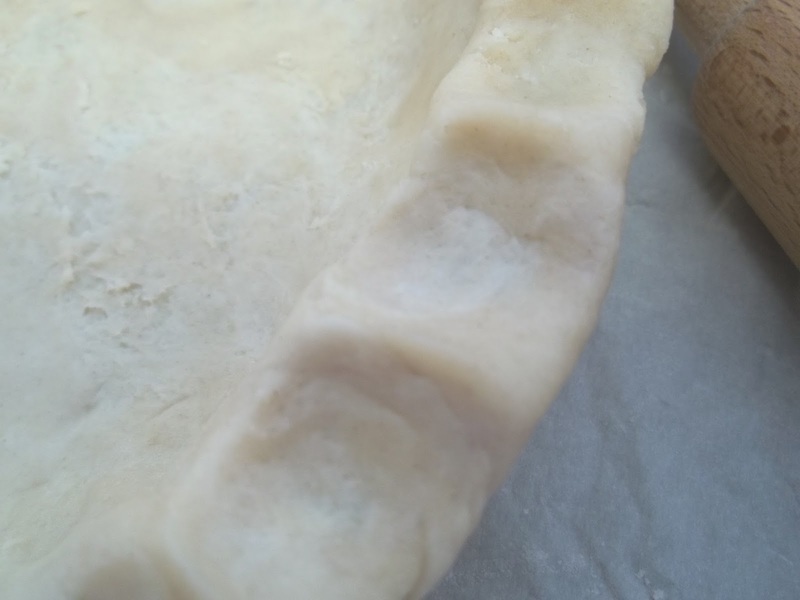 Use one of the two methods below (or your own) to crimp edges of pie crust. You are now ready to fill and bake per recipe instructions. If crust needs to be prebaked, prick crust several times around bottom and sides with a fork and bake at 425 degrees for 10 to 12 minutes, or until light golden brown. Please do not skip pricking the crust if pre baking, this step allows for the crust to bake without bubbling up and creating an uneven bottom or sides to the crust. If you have questions, please contact me by email or in the comments section below. I will be happy to respond!